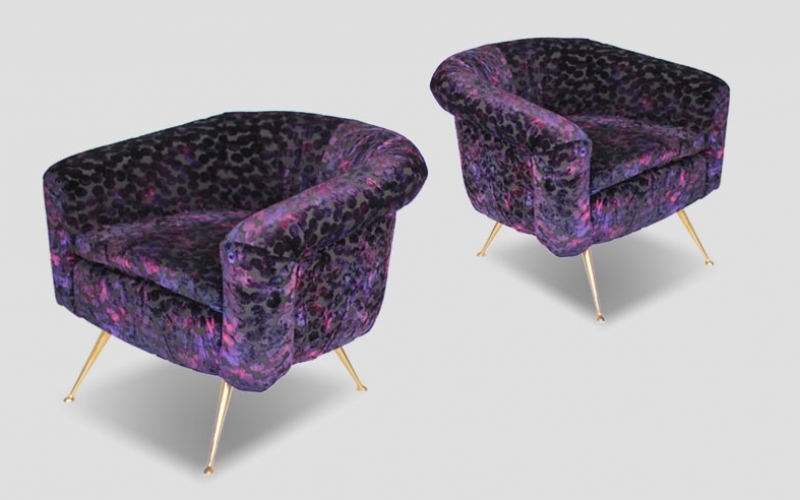 A stunning pair of Italian lounge chairs from the 1970’s. 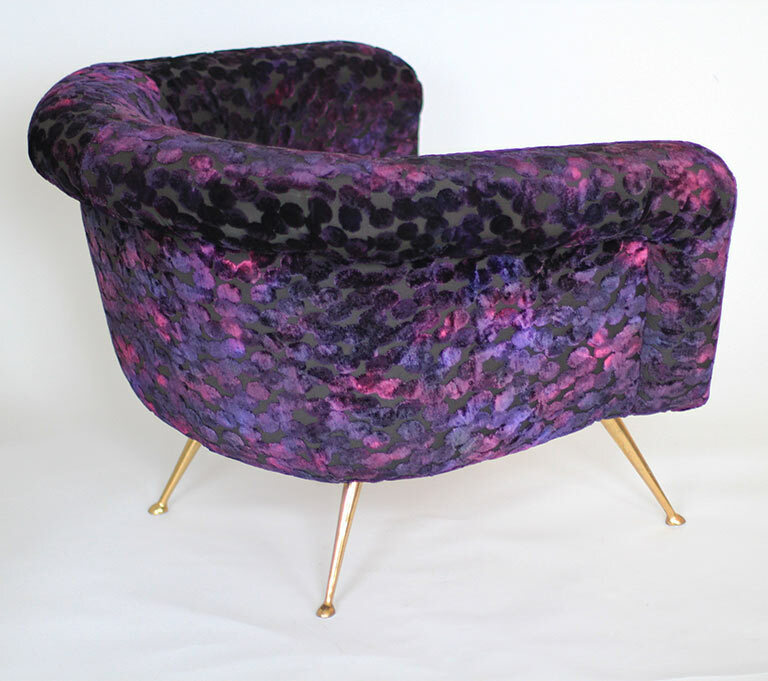 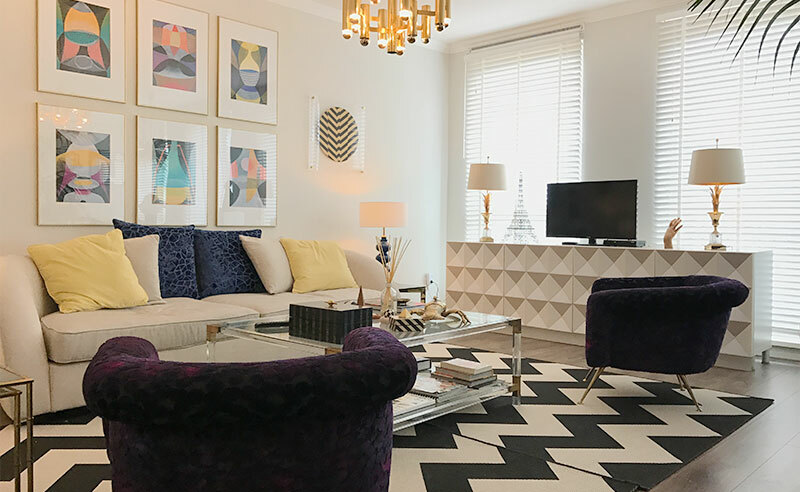 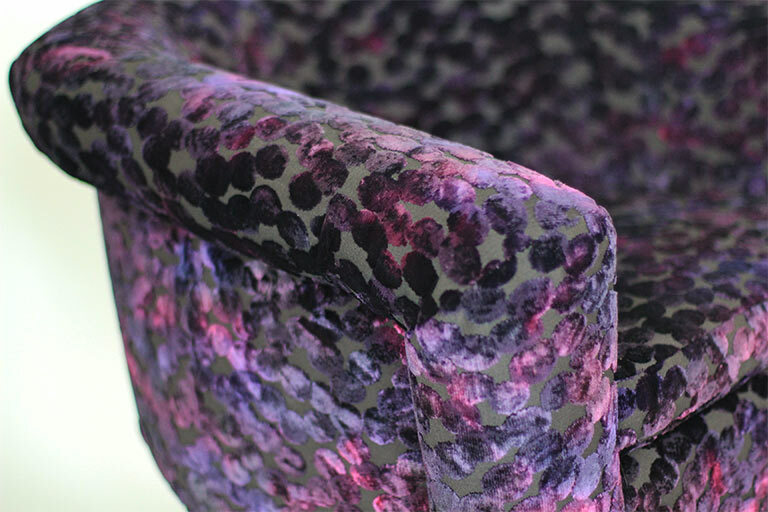 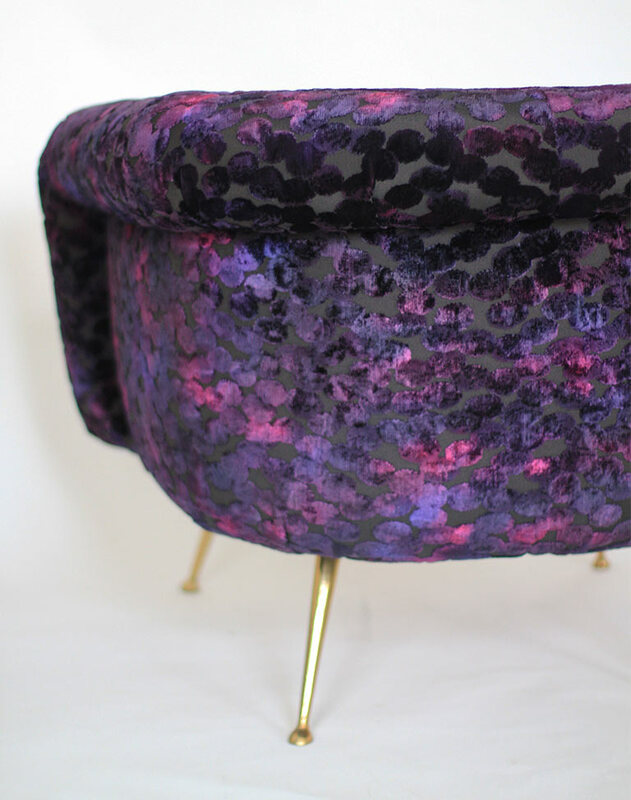 These glamorous chairs are re upholstered with quality “Lulu Jewel” Fabric by Zinc textile. 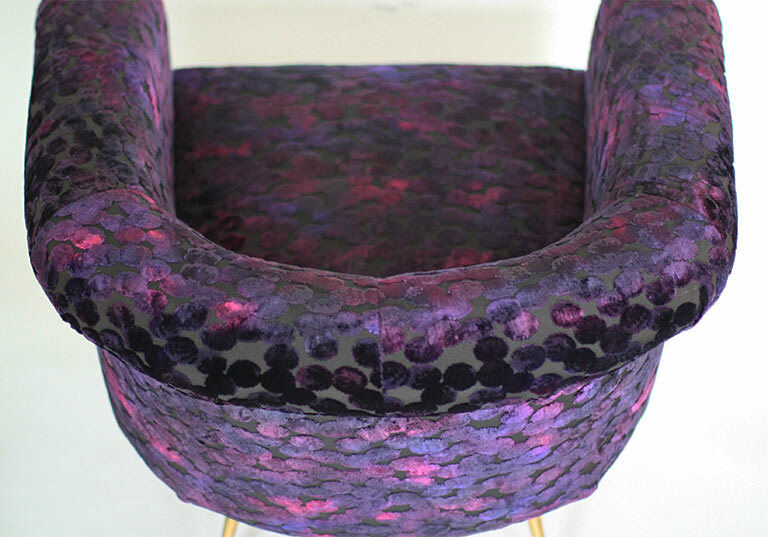 The chairs are extremely comfortable and of high quality.